Pumped to share that Diafrix’s sophomore record, Pocket Full Of Dreams, is out in music stores and on iTunes as of TODAY! As I posted before, I wrote and sang the hook on a song called Throwback, and you can now finally check it out in full. 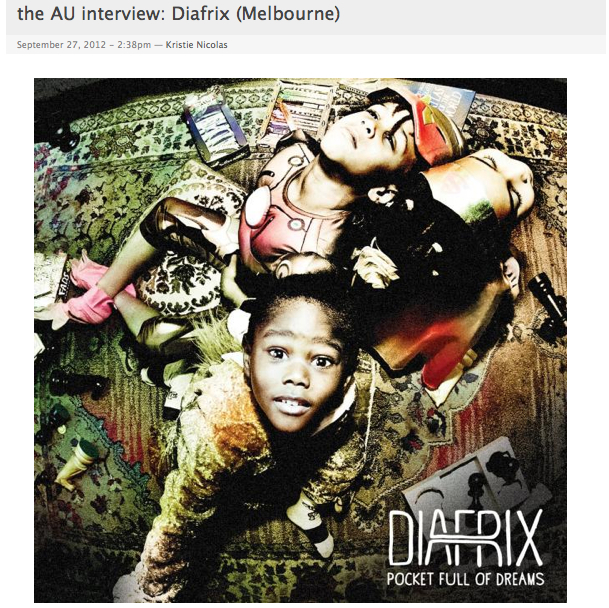 Here’s an excerpt of an interview Diafrix did with the AU Review, where they mention our tune. View the full interview by clicking on it. Huge congrats to the Diafrix boys on the release of their much-awaited project, and for having me be part of it!